A collection of treasures for your wrists. 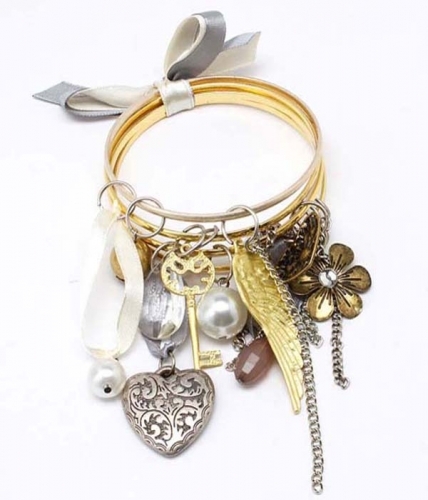 The Eden is a stack set of fine cast gold bangles that mixes a picturesque assembly of charms, beads, crystals and ribbon. Add to your getup for a playful adornment of beauty. Get fantatsic value when you buy your fashion bracelets at Oz Bling.